We’re headed to Outdoor Retailer Summer Market and we’re looking to connect with partners and give you the lowdown on all the latest features of our range of Deeper Smart Sonars. From 26th to 29th July the Deeper team will be at booth 40116 at Outdoor Retailer Summer Market in Salt Lake City, UT. As a company that is constantly innovating, our partners are crucial to us. They give us feedback and fresh insights on our products and how to present them. That’s why we’re currently developing and growing our network of partners, from retailers and distributors through to our pro-staff team. And meeting face to face at Outdoor Retailer Summer Market is the ideal way to discuss working together. 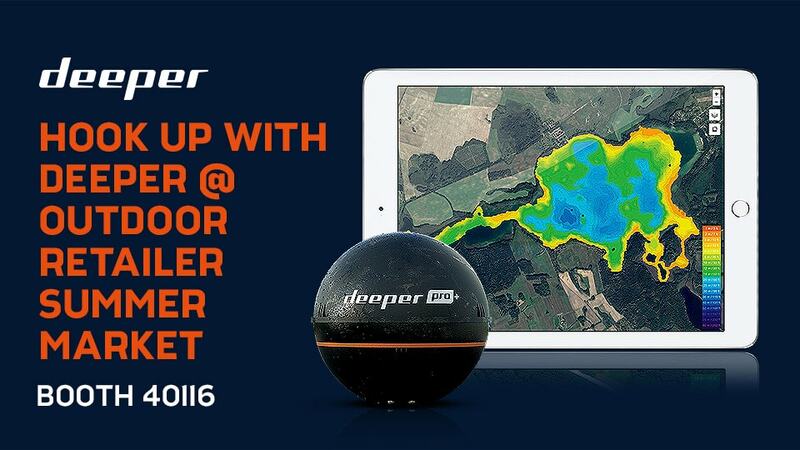 Plus our team can give you the lowdown on everything that’s new with Deeper Sonars including Lakebook, our new award-winning mapping portal. So hook up with Deeper, your Smarter Partner, at Outdoor Retailer this summer.